This is now my sixth letter, writing as a fellow Christian and considering some of the ways faith and politics intersect within our public life together. Faith can be a positive influence even within a secular society. Not religious dogma, certainly; religious doctrines can be divisive while spiritual, ethical and moral values can help us find common ground even with all our differences as Americans. In this letter, I want to address immigration from the perspective of our shared Christian faith. Here is what puzzles me: your own family immigrated to America not that long ago. Even though your family came through legal channels, still your own personal o pportunities came to you because of the generosity of this good nation of ours. But now, even with this dream-come-true kind of experience, it seems you are committed to excluding many others who seek the American dream. This attitude puzzles me on numerous levels. One, the simple incongruity of any person who has been given hope and help refusing to offer hope and help in turn to others. Is kindness to those who are less fortunate than we not a common decency? Is such grateful generosity not crucial to the healthy functioning of any society? We must not become a nation of takers; rather each of us must commit to give back from the grace and abundance we have received here in America. We must not become a nation of privilege; rather liberty and justice must truly be accessible to all. But two, I would expect generosity to be the active practice of every Christian because of the heritage and tradition we have received from the One whose name we wear. Jesus modeled for us ultimate generosity and welcome, setting a high bar for those of us who say we follow in his way. I know many non-religious Humanists who offer a greater degree of human kindness to their fellow human beings than many Christians do. Good for them! Shame on us! For the Lord your God … executes justice for the orphan and the widow and loves the strangers, providing them food and clothing. You shall also love the stranger for you were strangers in the land of Egypt. In the ancient theocratic society of the Old Testament, the leaders and the people were expected to show respect and compassion for those who lived among them as “aliens and strangers.” The foundational rationale for living this way was rooted in their own societal experience of having been strangers themselves in a foreign land. Christian teachings from the New Testament continue to affirm this same kind of grateful generosity and compassion toward outsiders. America is not a theocracy (thank goodness!) but surely this expectation for respect and compassion for the ‘strangers among us’ is reasonable and timely – especially since we are a nation of immigrants who have benefited from the strength of generations of people who came here to find a safe and welcoming home. We have benefited immensely from the creativity of people who have been included and offered opportunity to reach for their full potential. Is it not common sense to continue this national generosity? As I understand it, there are around eleven million people who are living in the USA without proper documentation. What do you propose to do about this? I’m glad to hear less rhetoric these days about mass deportations; what a foolish and impractical idea! 11,000,000 people who live and work among us as our neighbors! What specific approaches will you champion that will help these ‘strangers among us’ finally, truly be at home here in America? Punting this political football back and forth may feel like a game to you politicians, but these are real people, real lives, real families who are left in limbo while you delay. I puzzle over the frequent demonization of these people, our neighbors. Derogatory remarks are too prevalent from too many of our citizens. And way too many political leaders use alarmist language to stir an ugly, angry pot. This fear mongering is irresponsible. Some say the problem is an inevitable societal breakdown when people don’t follow the law. I have to wonder. Of course I think we all ought to follow the law, and yes – entering this country without permission is illegal; it is classified as a misdemeanor. Residing here without proper documentation is a civil issue, not a criminal matter. But I daresay most all of us do something or another that is somehow illegal on a fairly regular basis. Even so, we don’t go around calling each other “illegals.” And we often look the other way when it is people “like us” who are guilty of bending the law. Some say the problem is an underlying racism that fuels the fear. I have to wonder. Ethnic conflict may well be part of the issue, especially since the fence builders only want to focus on our southern border. This is what Richard Parker has concluded as well. In his current op-ed in the Dallas Morning News, he observes that: “mostly, what I have found among many white people is just fear — fear that the sun is setting on the era of their dominance over this country.” A few people will admit this attitude outright; others of us are shocked at their unrepentant racism. But most people Parker and I know have trouble recognizing the ways hidden racism subverts their thinking. Republicans condemn illegal immigrants because they want to blame them for the stagnant wages of most Americans rather than acknowledge the truth: that wages are stagnant because almost all the economy’s gains for the last thirty years have gone to the top. It’s also part of the old Republican divide-and-conquer strategy — to convince the white working class that the main cause of their economic frustrations are minorities. The greatest fear of the Republican Party is that poor, working class, middle class, black, Latinos, and whites will join together in a coalition to reclaim our economy and democracy from the moneyed interests that have dominated it for over three decades, and which are bankrolling the GOP. A similar pattern of immigrant-bashing is occurring in Europe, where right-wing nationalist groups are gaining ground by whipping up hatred toward immigrants from Africa and the Middle East. In fact, history is replete with shameful examples of demagogues who use economic insecurities and frustrations to advance themselves by making scapegoats of minorities. But in America — a nation comprised almost entirely of immigrants, and soon to have a majority of minorities — this cynical tactic is bound to backfire. How would you answer Mr. Reich? 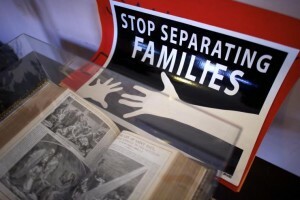 As a Christian minister, I want you to know I support the efforts of Christians who are providing sanctuary in their churches for some of the ‘strangers among us.’ Bureaucracies are blind and people of faith often see justice more clearly than bureaucrats can. Giving sanctuary to a person who is facing deportation is an act of mercy that is intended to keep families together and allow advocates and authorities enough time to negotiate a just compromise. I support the work of chaplains as well who offer pastoral care but also help detainees find appropriate legal representation. For many of us, true faith is demonstrated by acts of faithfulness that sometimes cross into the political realm. I believe such ministry is a helpful, tangible intersection of faith and culture and I am grateful for my fellow Christians who step up to this kind of risky justice and mercy. Of course there are numerous practical issues policy makers must deal with; I am a pastor, not a politician but I do respect the challenges. My emphasis in this letter is not so much how we address immigration; rather I want to join my voice with many, many others demanding that we address immigration reform – and soon. President Obama has made some recent efforts to work around the immigration quagmire you senators and representatives have helped create but instead of working together with the current administration to find solutions, you keep resisting compromise and cooperation. How in heavens name can you properly serve the people of our state and of this nation when you are hell bent on opposing President Obama at every turn? It is your job to figure this out. Please, I beg you and your colleagues: get to it! Stop building fences and start building coalitions of business owners, employers and local governments who will hold each other accountable: accountable to hire workers with proper documentation, to treat all their employees fairly and to pay them a living wage. Penalize the blatant employers for their illegal hiring practices instead of hassling the hapless employees who are misused and abused at every turn. Find solutions that are just and equitable and timely; approaches that show human kindness and reflect the national generosity that we citizens receive. Create more paths to citizenship for those who live here, who consider this their home. Acknowledge the contributions undocumented workers make to our economy and our society. Honor families and find ways to keep them together. Provide opportunities for the dreamers among us to give back to America as fully vested citizens. It is your job to figure this out. Please get to it. As a minister of the gospel of Jesus Christ, I am deeply concerned about the people who are caught in America’s immigration quagmire. Women and children and men and families. Some may call them “illegals” and “criminals;” I call them precious children of God. As are you, Senator Cruz. As much as I disagree with your politics and policies and priorities – still you and I and every single ‘stranger among us’ are bound together by the grace of our good God. And we are bound together by the generous ideals of this good country. How can we not share that goodness with others? 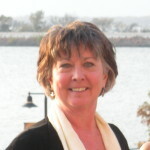 Charlotte Vaughan Coyle lives in Paris TX and blogs about intersections of faith and politics. 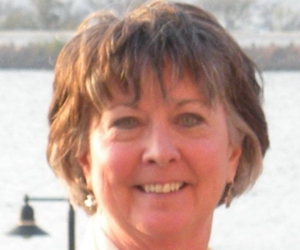 She frequently shares her thoughts with Coffee Party USA as a regular volunteer. Jesus said to give to Ceaser what is Ceasers. He didn’t advocate law breaking. Sen Cruz’s parents came here LEGALLY. A salient point you avoid pointing out, render virtually everything else you say without foundation. 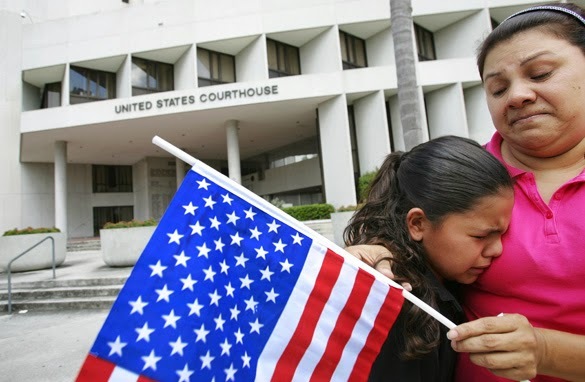 Yes the Cruz family came here through legal process; I don’t suggest that they didn’t. I make the point that they too are immigrants and I would hope that experience of welcome could move Mr Cruz to be compassionate to others seeking a new home. Illegal immigration is a problem in this nation. 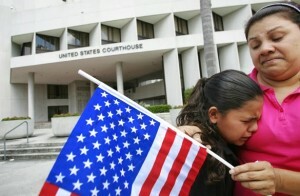 11,000,000 of our neighbors are here now without legal status. I am asking Mr Cruz to work on this problem soon with practical and compassionate approaches. What suggestions would you offer? Thank you, Charlotte, for your thoughtful approach to this sensitive and very important subject. Tonight is the first “debate.” I wonder what will be said about immigration. I wish Ted Cruz would listen to you.